Israeli army vows to demolish home of Arab terrorist who stabbed American-Israeli man to death in Gush Etzion shopping center. Israeli security forces will demolish the home of the Arab terrorist who murdered an American-Israeli man at a shopping center south of Jerusalem in September, the IDF announced overnight. Early Tuesday morning, the IDF said that the home of Khalil Jabarin would be demolished in response to Jabarin’s murder of 45-year-old father of four Ari Fuld. An American immigrant living in the Gush Etzion town of Efrat, Fuld was a pro-Israel activist and member of Efrat’s rapid response team. Jabarin stabbed Fuld in the back outside of a shopping center in Gush Etzion on September 16th, mortally wounding him. 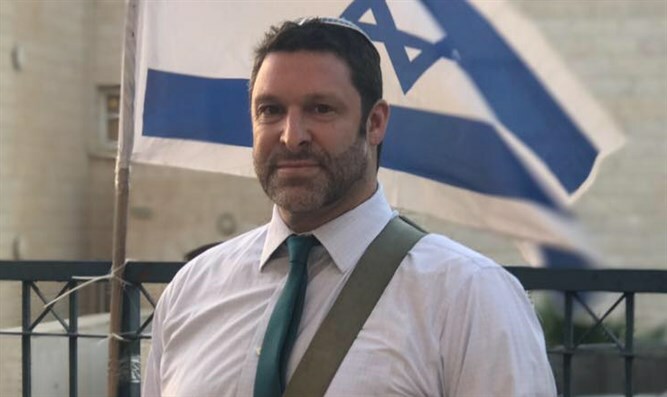 Despite his wounds, Fuld managed to draw his personal firearm and shoot the terrorist, neutralizing him and preventing Jabarin from harming additional victims. Jabarin was wounded in moderate condition. On Tuesday, The IDF said that Jabarin’s home on the third story of a three-story building in the Palestinian Authority-controlled town of Yatta would be demolished, while the remainder of the building is left intact. The terrorist’s family has until next Sunday morning to file an appeal against the demolition order. If the initial appeal order is rejected, the family will likely appeal to the Israeli Supreme Court.